Roses are easily the most popular flower of all. Their beauty is unlike any other and, when you buy a fresh bouquet, you can&apos;t help but wish they would last longer.Now you can get even more beauty for your money with our silk rose bouquet! 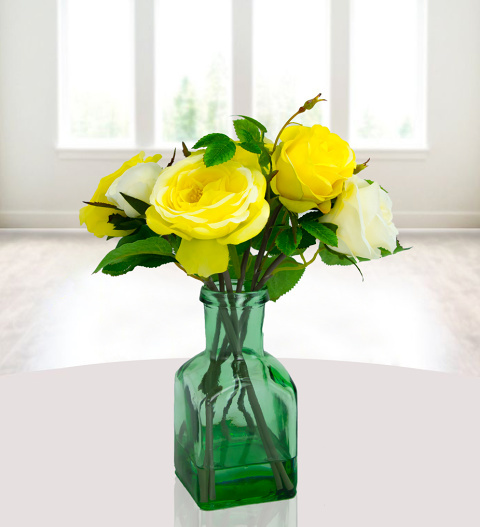 Yellow and white roses all beautifully arranged to impress any lucky recipient for any occasion! A delightful gift perfect for birthdays, anniversaries or just to send to a loved one.